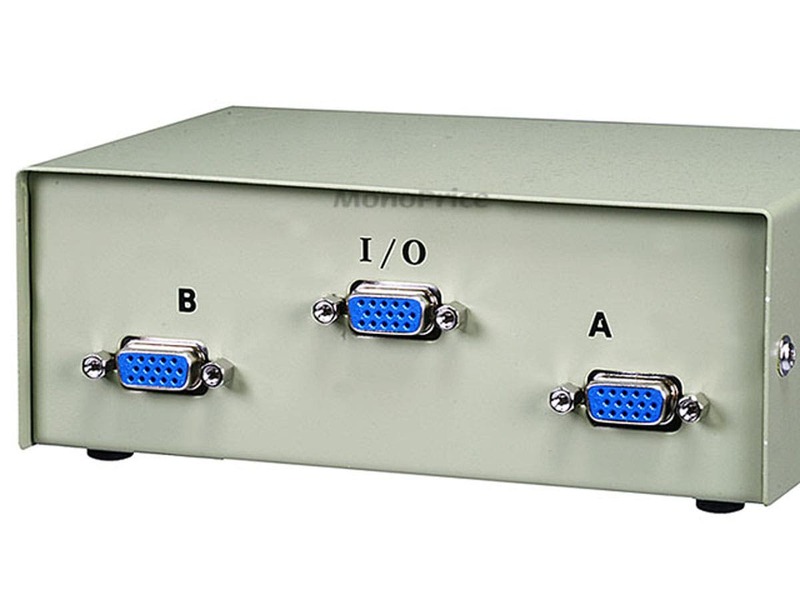 Can this be used as an AB switch for a single pc and two monitors? BEST ANSWER: No reason not two do so that I can see. Works great. I am running 2 computers on one monitor. 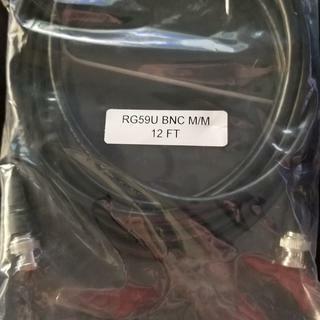 What I received was a cable (sku BNC M/M RG59U 12ft) which they said they could not identify so they could not send actual product. Due to space limitations I use one monitor for two computers on my desktop. The first one I purchased for myself several years ago. 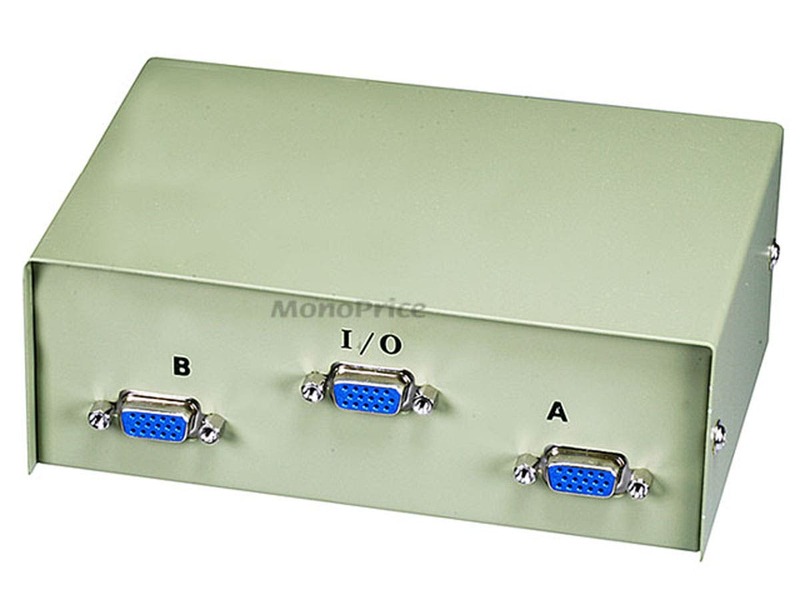 The second one I purchased and gave to a friend, who has one VGA monitor, an HP and an Apple Mac Mini. I have a Dell Optiplex and a Mac Mini. The two port switch works well for what it is designed for. I am very satisfied with this product. 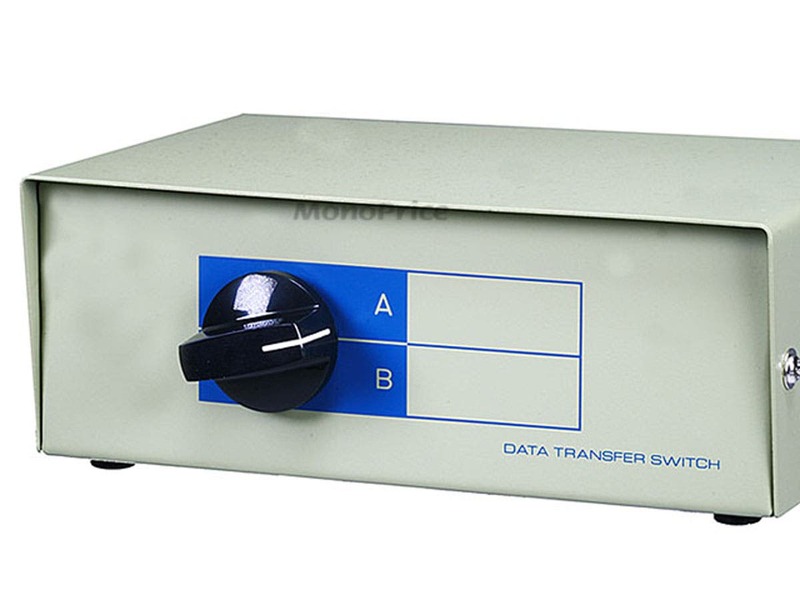 It is good quality and can be used as a switch to receive from two inputs into one l am using it as a single output from two sources. Works well. Has a positive click in both positions. Works great. Just what I needed. If I ever need another one I will definitely order from Monoprice. Great to use one monitor with 2 devices, like PC's or laptops. I use it with one DVR and one NVR for the security cameras at work. I purchased this item with the express plan of converting it to a microphone selector switch for amateur radio. 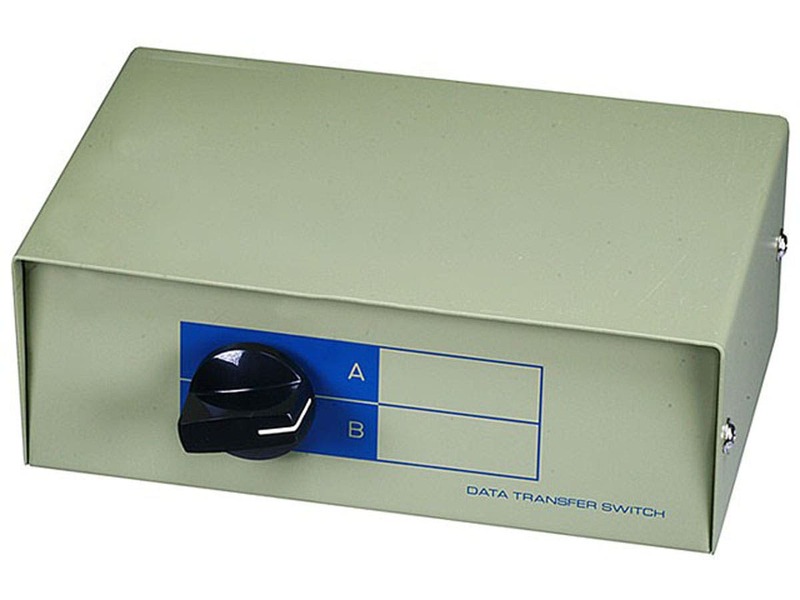 These switches are actually almost totally obsolete in the computer arena since USB but they make excellent mic selectors since they have multiple poles and 2 to 4 positions. I use one to switch between my hand mic, my headset and a boom mic. (a 4 position unit) and I use another one to switch the headset between two radios. Good price, exactly what i needed, exactly what i ordered. did the job!!! did the job!! !did the job!! !did the job!!! What can I say? The switch works as advertised. It is a "can do" device. I highly recommend it. It is simple to operate, simple to set up. No bells and whistles to confuse you.